This is not just a historical event for Ramsay, this game is historical for the entire city of Birmingham, said Melanie McCann –proud alumni of the class of 2006. Like McCann, there were many of Ramsay’s past graduates sitting in the bleacher’s of Birmingham’s historical Lawson Field, ecstatically cheering their team to victory. Still excited from the earlier pep rally, Ramsay’s band enthusiastically entered the field under the direction of their new band director, Anita Dye. Fans of both teams cheered on their sides in hopes of scoring the first touchdown. Rams defensive back John Peoples got the ball and took it 95 yards down the right sideline, scoring his school’s first touchdown. As the crowd cheered the excitement grew, and at that moment history was already declared. Ramsay High School is most known for their academic achievements however, other schools should keep the JV team on a close radar. I hope the Rams competition doesn’t quickly deem the team as under dogs of the league, because the Rams are ready to go all the way with the wins. 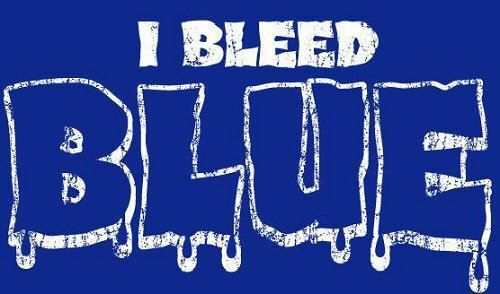 With so much support from the school’s alumni, booster club, teachers, and students –who have adapted the phrase, “I bleed blue”, the excitement of this first game is sure to carry on through the rest of the season. As a fellow alumni of Ramsay I am extremely proud of these young men and I wish them success on their season. One time Rams–YEET!